Neil is a lifelong sports, outdoors and arts enthusiast. Has eight years of varsity level experience in tennis, soccer, cross-country and volleyball; level II Muay Thai. He also has five years of musical theater experience, two years of modern jazz dance and performance tango. He's an avid backpacker/hiker and finisher of The John Muir Trail 24 day hike. Neil values and teaches excellence in form, a healthy mindset, and functional-holistic application. 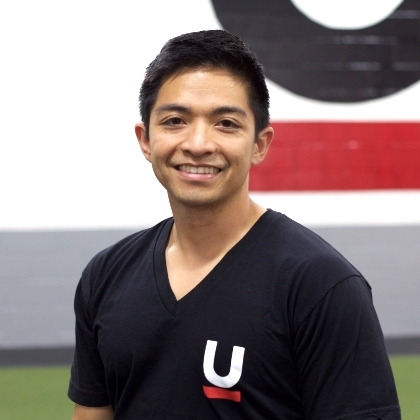 He trains clients to physical, well-rounded, excellence through incorporating the unique techniques from various disciplines, movement patterns, and mindsets inherent with each sport, art, and outdoor endeavor he has come to know very well. Neil's philosophy: True to life fitness. As a vibrant part of life and not merely a chore, fitness has to make sense and be applicable to everything you do, think, and feel. "Neil is the real deal! I've been working out with Neil for 2.5 months now and it's been SO transforming! Don't get me wrong, our workouts have been incredibly challenging both physically and mentally, but I always finish feeling wonderful and accomplished. After the first month, my friends and family started commenting on my weight loss, and I've noticed that my energy level and confidence have gone up! Neil may be the hardest trainer you'll ever have, but when you are exhausted and feel like giving up, he will motivate and push you to the next level. Neil is professional, extremely knowledgeable with both fitness and nutrition, and has a great sense of humor which helps when the running gets tough. I'm lucky to have found him and look forward to more aching sessions." "I've been working out with Neil off and on for over a year now. Even though I'm in my mid-30s and my job keeps me sitting at a desk all day, thanks to Neil I'm more fit than I've ever been in my life. He carefully plans each session to provide not only what my body needs, but also my brain, by adding variety and adventure. Neil is very good at what he does, and also very flexible, accommodating, and positive in general. I can't recommend SAKA Fitness highly enough!" If you want results, this is for you! When I was 30 I was 220 lbs, lean, with a 32 inch waist. Falling away from the gym, along with the years creeping up on me, I found myself pushing a 36 inch waist with a flabby stomach, and no energy. 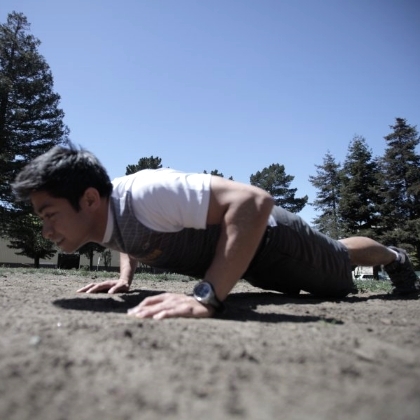 Neil showed me fantastic ways to get in shape by utilizing the own body in a more efficient way. In just a short time, and training with Neil only three days a week, I have built up my endurance, increased my strength, and shrunk my waist to a 34. I am seeing great results and am on my way to reaching my goals, which is getting back to the condition I was when I was 30. Neil will, with out a doubt, get you in the shape you desire to be in."